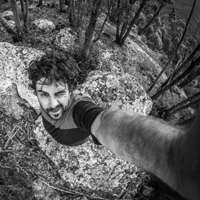 Australian Photographer and Samyang Ambassador. 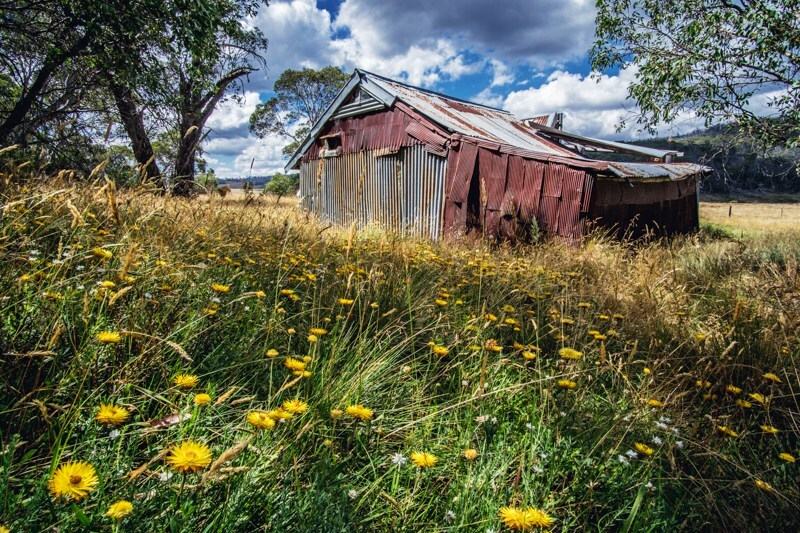 Creator of the photographic blog Gippsland Images, where you can find a great choice of articles about photography equipment reviews and how to’s. 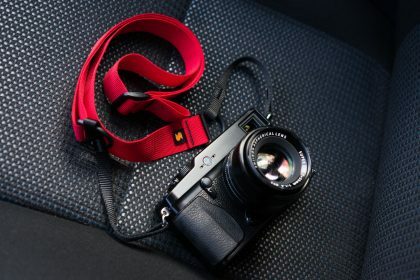 It’s no secret Mirrorless cameras are becoming hugely popular, talking to various people in the industry the sales of these cameras have really increased in recent times. 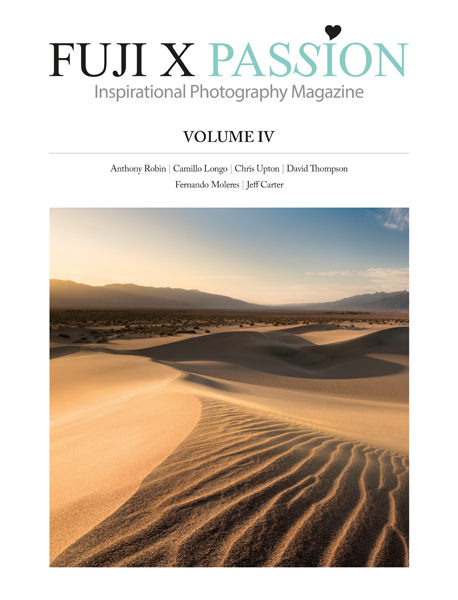 I believe this is in part because the technology has started to come of age and we are seeing some amazing cameras from the likes of Fujifilm, Sony, Olympus, Panasonic (yep Panasonic! ), No longer are these cameras clunky or slow as in the past. Experienced photographers are starting to purchase these as lightweight, second camera systems to compliment their dslr kits, newer photographers are buying them because of size, loads of features and cost, some of these systems are amazing bang for buck. 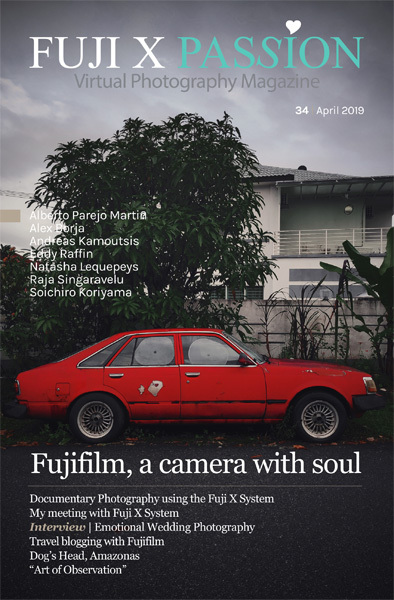 About a year ago I purchased my first mirrorless camera, the Fujifilm X-E1 and more recently the Fujifilm X-T10 and have been shooting with it regularly alongside my Canon 6D full frame DSLR. This leads me to this review of the Samyang 12mm f2 NCS CS Ultra wide Angle Lens for mirrorless cameras in Fuji X Mount. 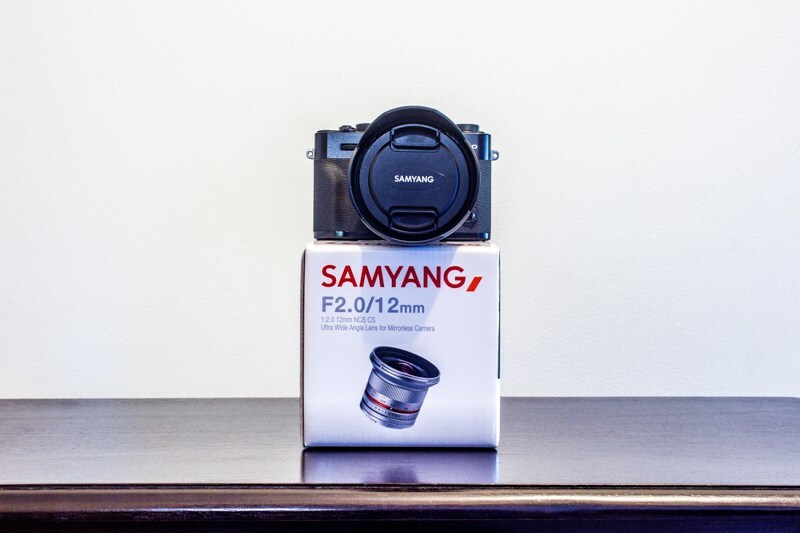 As a big fan of Samyang lenses (I’ve been using the 14mm f2.8 for years) I was more than a little keen to get my hands on this mirrorless specific fast 12mm. Again I’m going to leave the full specs for last but will touch on them throughout the review. 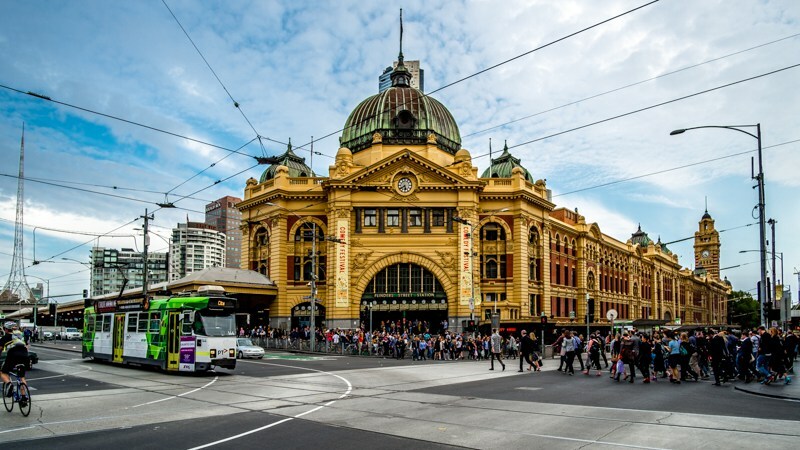 The Samyang 12mm f2 NCS CS lens mounted to the Fujifilm X-T10, a tiny combo that packs a punch. Firstly, what’s in the box? You get the lens, petal style lens hood, 67mm lens cap, rear lens cap and a cloth pouch to keep the lens in. Keeping it scratch and dust free. A small lens that packs some punch! The Samyang 12mm NCS CS is a small lens designed to be used on Mirrorless APS-C and Micro Four Thirds Cameras (Canon M, Fujifilm X, Sony E and Micro Four Thirds). 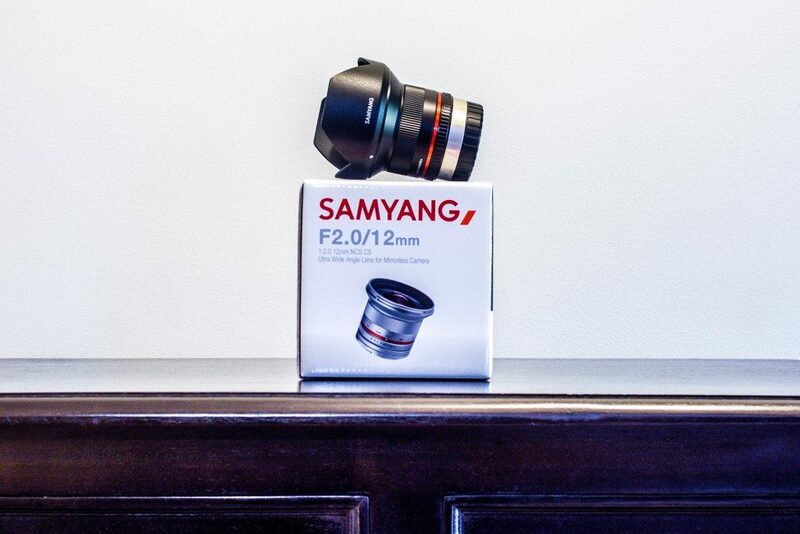 Samyang states its size as 72.5mm at its widest point and 59.4mm in length, this is for the lens itself without hood and attached to the camera. In reality its a bit larger than this when not attached to the camera body as the flange depth has to be accounted for, you would also be carrying the included lens hood. As you can see in the above and following images its tiny for a lens of this type. 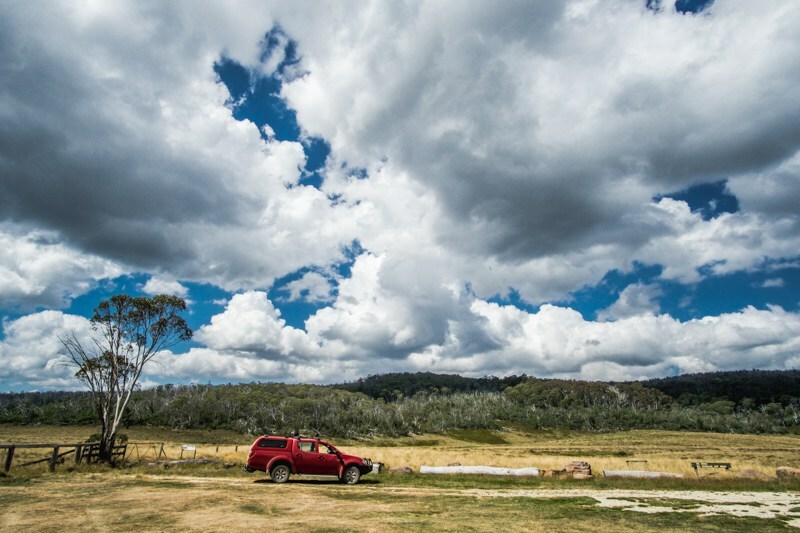 The lens is a 12mm f2 lens or equivalent to approx 18mm f2 on full frame (in this fuji x mount version). It’s wide it’s fast and pulls a lot of light, excellent! It accepts 67mm screw on filters allowing use of not only screw on filters but square type filters with holder, perfect for landscape and long exposure photography. To give you an idea of the size. 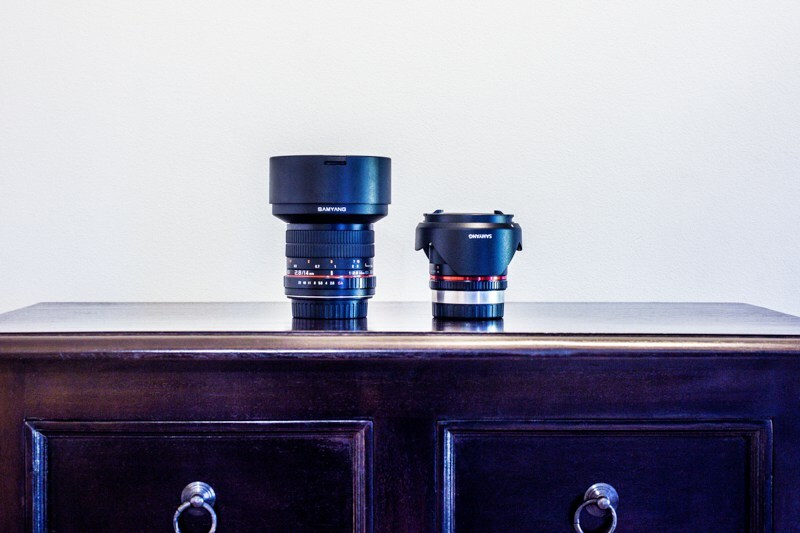 The popular Samyang 14mm 2.8 (full frame lens) alongside the tiny Samyang 12mm f2 (mirrorless lens). I’ve been super impressed by the build quality of the Samyang Mirrorless lenses and the 12mm f2 NCS CS is no exception. The lens feels like a quality lens, it feels solid to hold and quite weighty. From the outside the bottom third and mount are metal (Samyang states the lens is made of Aluminium Alloy). The focus ring moves smoothly and feels dampened, there’s no rubber grips to get dirty or fade. It’s a nice well built lens. This lens is manual focus and manual aperture with no electrical contacts to pass aperture exif information onto the body, like a lot of Samyang lenses. It has an easy to read distance scale on the barrel and easy to read aperture ring that clicks at half stops from f2 through to f22. This has its pros and cons but given the market this lens appeals to, night and landscape photographers these are more benefits than negatives as you will generally be manual focussing and locking down your aperture anyway. That’s not to say this lens shouldn’t be used for other subjects, it’s an amazing street photographers lens and very capable in a sports environment, its huge depth of field makes it easy to focus and keep everything sharp. Manual aperture and focus is something I personally find best to use when shooting landscapes and nightscapes, milky way etc. Manual focus using the infinity mark I’ve found is a pretty accurate and easy way to focus on the stars, although sometimes you need to tweek this in live view, this is normal and even the best lenses need a tweek. ​Manual aperture has a few benefits. One is it can be locked into position and not easily bumped/changed while messing with your cameras dials, settings. The other is when shooting time-lapse, manual aperture allows you to set the aperture mechanically. 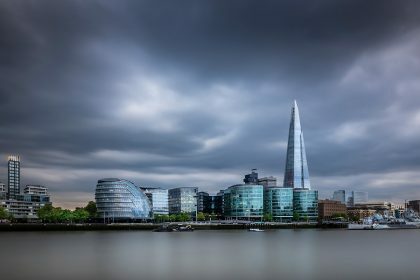 When shooting time-lapse without a manual aperture lens (apart from when shooting wide open) the aperture can close down to slightly different sizes each shot introducing flicker in the final video. A manual aperture stays in the same position, hence no flicker and better time-lapse footage, bonus! Distance scale, focus ring, aperture ring and markings. A clean great looking, well built lens. In a word, fantastic!! Sorry no lens charts here, lets talk about real world, what we can see and the features that Samyang has added to this lens. It is razor sharp as you will see in the following pics. It has low coma, helping producing great night sky images. Samyang’s nano coating reduces chance of reflections and does a great job of this, reducing chance of ghosting and flare. The low dispersion and aspherical glass lenses are designed to reduce aberrations, improve contrast and clarity from edge to edge. This lens is a brilliant performer!! Real world I’ve found this lens fantastic, there’s no doubting its ability to produce a razor sharp images from edge to edge. 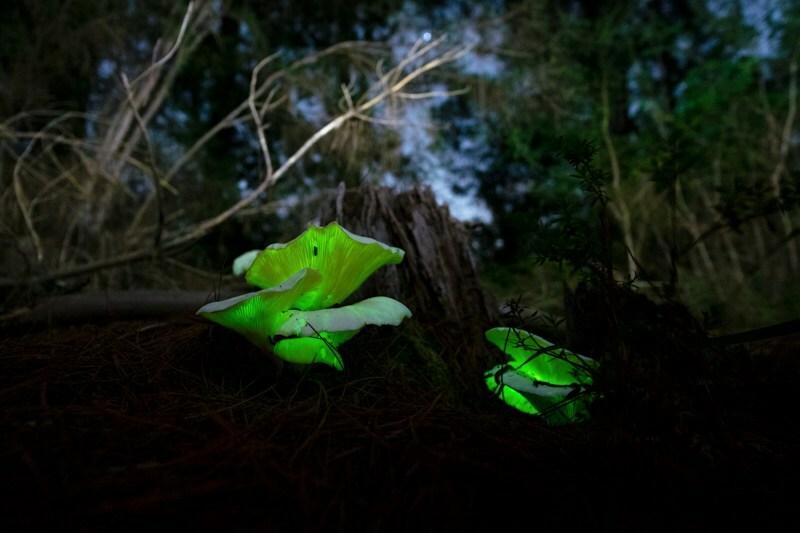 I’ve sent full high res images off to others that have been interested and all have been impressed. The colour and contrast it produces is great, it resists flare well and I haven’t noticed any real problems with fringing etc. For a lens this wide there is also little distortion. Wide open at night there does seem to be some slight vignetting, easily correctable in post, but it is there. I have not noticed this during the day or at small apertures. All in all Samyang have done a great job with this lens, it’s a cracker. 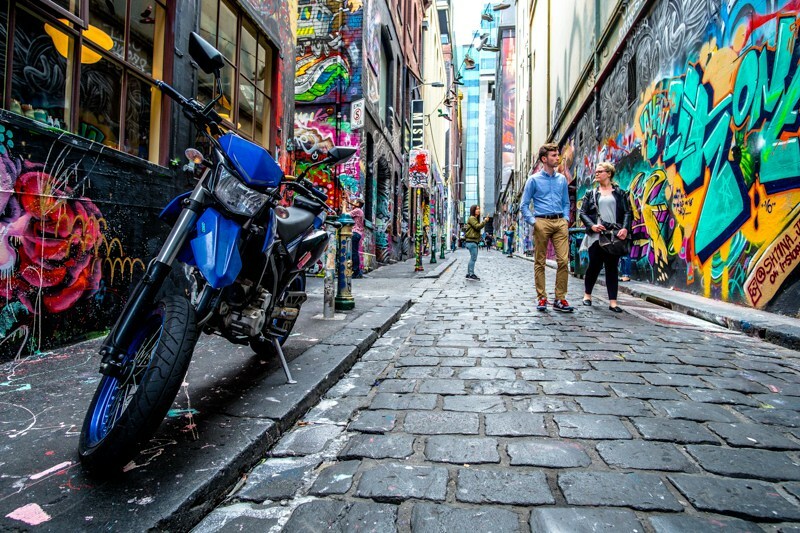 Hosier Lane, Melbourne, Australia. Fuji xt10, Samyang 12mm f2. Sharp, colourful with nice contrast. 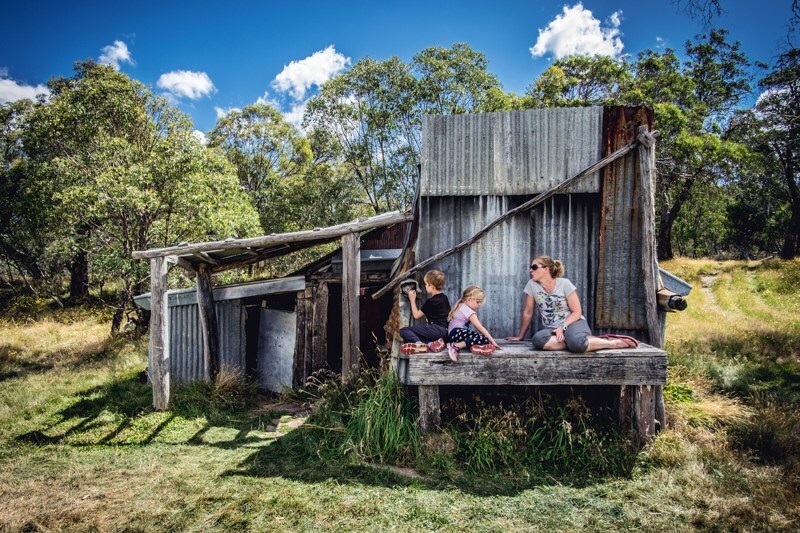 Kelly’s Hut, Victoria, Australia. Samyang 12mm f2, Fujifilm XT10. 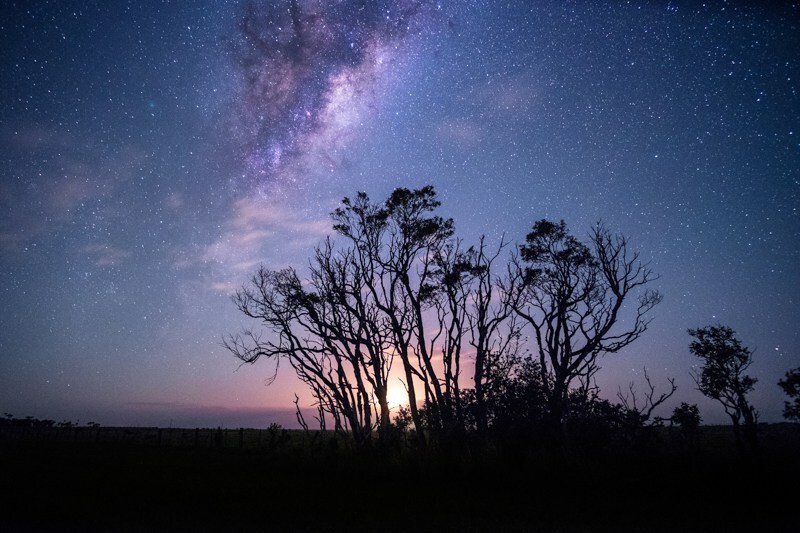 ​A lot of people will be looking at this lens for shooting at night and in low light, its wide 18mm equivalent focal length and fast f2.0 aperture make it particularly suited for subjects such as the Milky-way and Aurora. 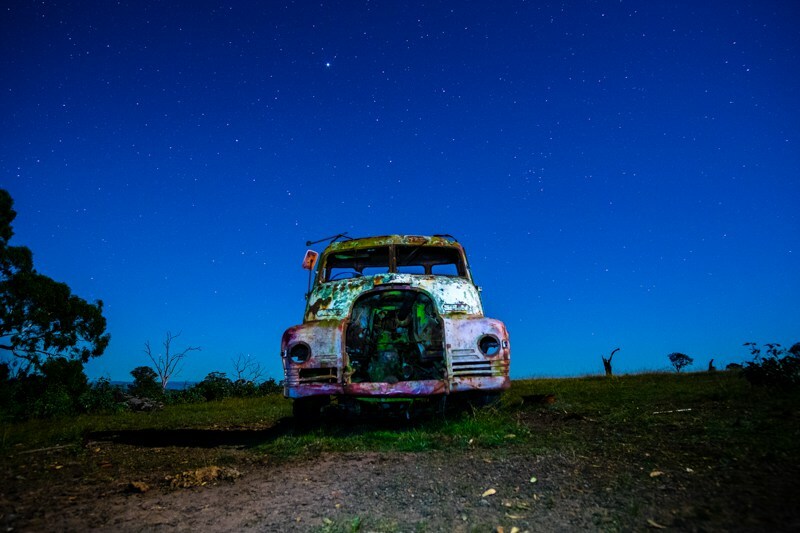 As discussed in my blogs on night photography one advantage of a wide angle is it allows a longer shutter speed without star trailing helping you capture more light. 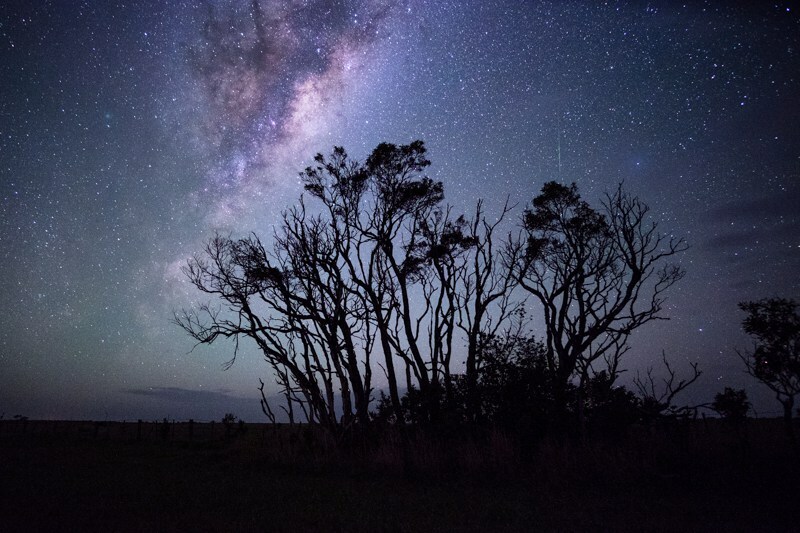 Add this to the fast light gathering f2.0 aperture of the Samyang 12mm and it becomes a great combination for shooting the stars with your mirrorless system. F2.0 is a whole stop faster than f2.8 found on similar lenses this can be used in many ways at night from gathering more light for a better exposure to lowering ISO for a cleaner, less noisy image (Noise is a bit of a downfall of smaller APS-C sensors), it’s a definite advantage and makes this lens an excellent option at night. Samyang lenses boast low Coma (Comatic Aberration, An aberration that causes stars near the corners of an image distort and appear to trail). The 12mm f2 does a pretty go job here controlling this. Moonrise, Milky Way and Comet 252p (fuzzy aqua star three quarters of the way up LHS). Samyang 12mm f2, Fujifilm X-T10. Above, as you can see Coma is well controlled with very little distortion. It also shows the slight vignetting at wide open apertures, not bad and easy to correct. Samyang 12mm at f2. Sharp and low coma! Mounts available – Canon M, Fujifilm X, Samsung NX, Sony E, Micro Four Thirds. 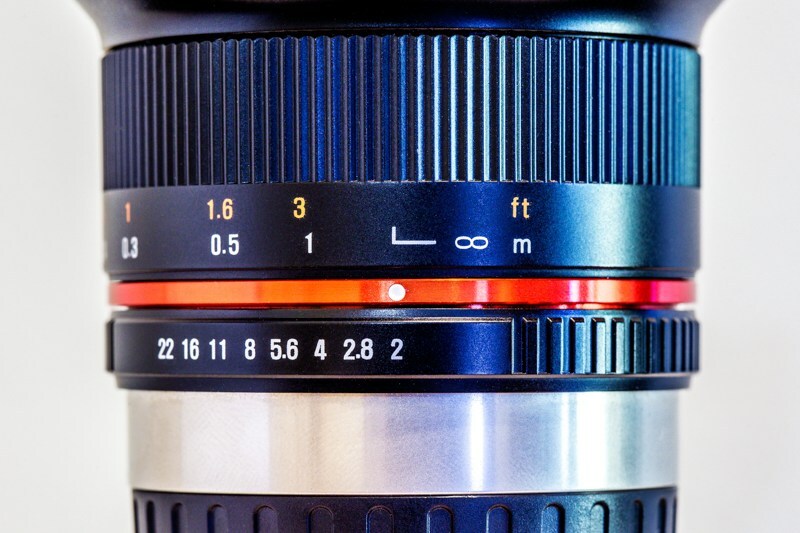 Length – 59.0mm (Canon M), 59.4mm (FujiFilm X), 51.6mm (Samsung NX), 59.1 (Sony E), 57.9mm (Micro Four Thirds). With the Mirrorless market heating up and Mirrorless cameras only getting better its awesome to see some third party lens manufacturers stepping up and producing lenses to match. 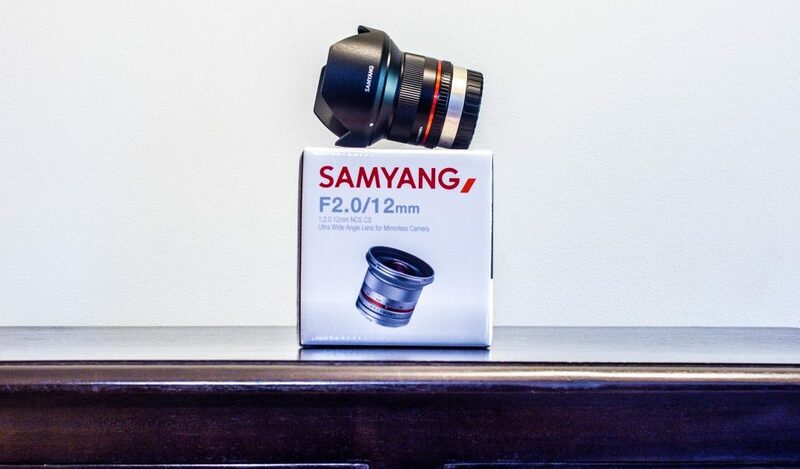 The Samyang 12mm F2 NCS CS is a cracking lens that should really be considered by those looking for an Ultra wide-angle lens for landscapes and is almost a must for those shooting low light, stars, milky way and Aurora with its low coma and F2 aperture. I was impressed by just how good the image quality from this lens was. The only negative is some slight vignetting at night wide open, easily fixed in post processing. If your in the market for a fast ultra wide angle designed for mirrorless make sure you add the Samyang to your list. 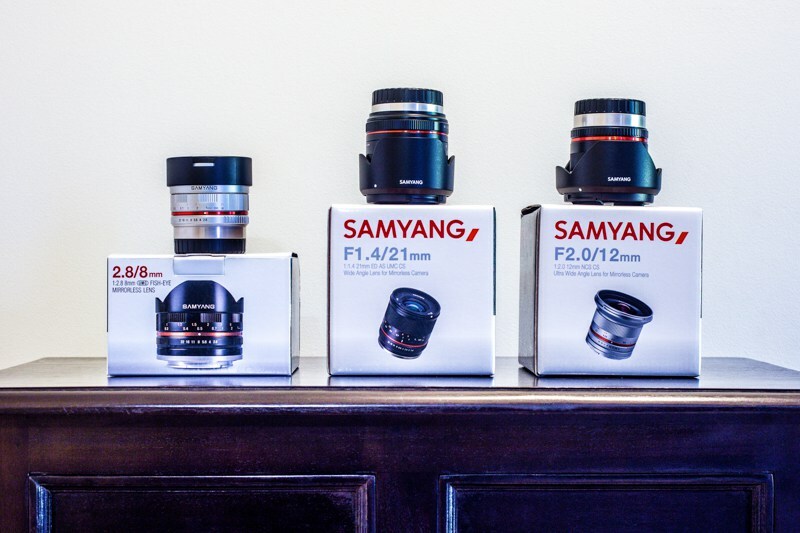 Fast wide primes ready for review, left to right: Samyang 8mm 2.8 fisheye, 21mm 1.4, 12mm f2. 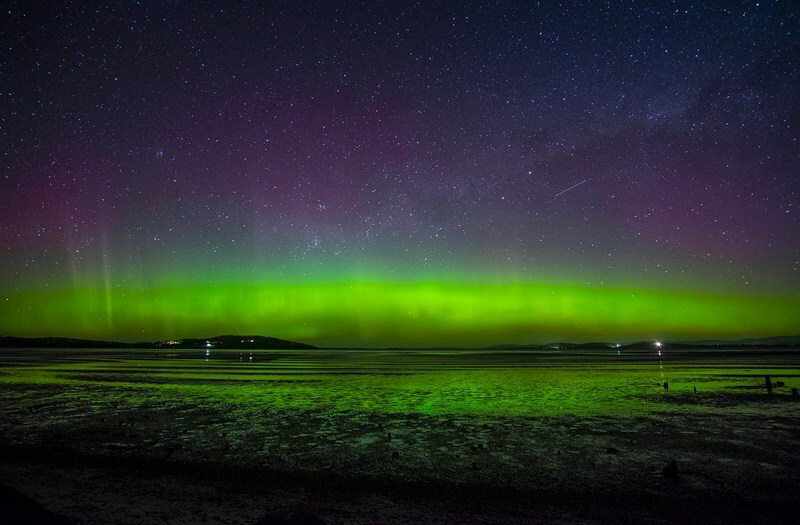 A big thank you to Odille Edmonde-Morgan for supplying the incredible Aurora Australis images shot with the Samyang 12mm f2. Its something I really wanted to add to this blog but we haven’t seen a good Aurora for a while, Thanks Odille! More Images From the Samyang 12mm f2 NCS CS Ultra Wide Angle Lens. Comet 252p, (fuzzy aqua star LHS 3/4 of the way up. Milky way and shooting star.